This is Leon Malmed’s true story of his and his sister Rachel’s escape from the Holocaust in Occupied France. When their father and mother were arrested in 1942, their courageous and heroic French neighbors volunteered to watch their children until they returned. Leon’s parents were taken first to Drancy, then to Auschwitz-Birkenau, and they never returned. Meanwhile their downstairs neighbors, Henri and Suzanne Ribouleau, gave the children a home and family and sheltered them through subsequent roundups, threats, air raids, and the war’s privations. The courage, sympathy, and dedication of the Ribouleaus and others stand in strong contrast to the collaborations and moral weakness of many of the French authorities. Leon and Rachel each came to America after the war, but always kept their strongest ties to “Papa Henri and Maman Suzanne,” who were honored as “Righteous Among the Nations” by Yad Vashem in 1977. Leon bares his soul in this narrative of love and courage, set against a backdrop of tragedy, fear, injustice, prejudice, and the greatest moral outrage of the modern era. It is a story of goodness triumphing once more over evil. Leon Malmed was born in France on October 4th, 1937. He is a Holocaust Survivor. He immigrated to the U.S, in 1964. He lived 18 years in New York. Patricia now live full time in South Lake Tahoe. Leon graduated in Mechanical Engineering from the University of Paris. He is a graduate of the Finance Senior Executive program at UCLA and the Executive Institute for Management of High Technology Companies at Stanford Business School. Leon worked in the High Tech industry in Silicon Valley where he held executive positions for over 30 years. 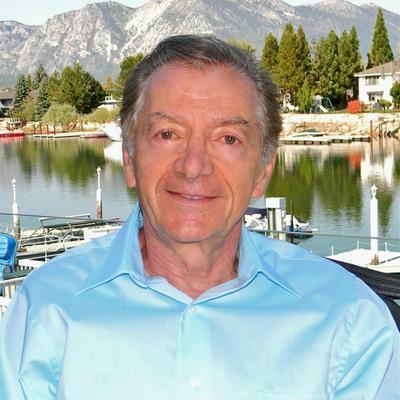 He served on Hi-Tech companies Board of Directors and is currently on the Board of the Lake Tahoe Community College Foundation. After 60 years of total silence about his childhood during the Holocaust and aftermath, Leon decided to publish his memoir. 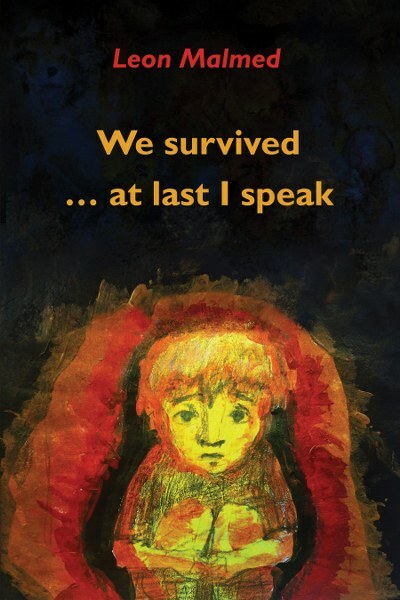 He is the author of “We Survived…At Last I Speak” available in English, French and Spanish. His books are available at Amazon.com, Lulu.com, Kindle.com and Audible.com. Leon speaks about the Holocaust in Schools, Colleges, Universities, Churches, Synagogues, Book clubs and Men and women’s clubs in the US, in Europe and South America. He has been interviewed on TV and radio. Besides writing books, he loves riding bikes, skiing, sailing and golfing. He participated last year in the Dancing with the Tahoe Stars and won one of the two trophies. The book sounds very intriguing and the cover looks great. No fiction books are my favorite. I am inyinteres in the holocost and this sounds like a very interesting book with an intriguing cover! I like the cover. The artwork is very unique. Thanks for the giveaway! I don't care for the cover at all. It is a bit disturbing to me but I suppose it's supposed to be considering the subject matter. What a history the author has. The excerpt, synopsis, and cover are very moving to me.